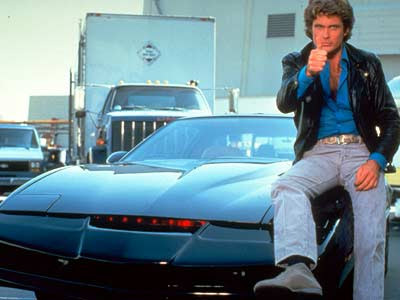 When I was 13 years old, one of my favorite TV shows was NBC’s Knight Rider. Way before David Hasselhoff ran in slow motion across a Malibu beach or mopped a hamburger off the floor in a drunken stupor, he was THE MAN playing Michael Knight on the series. With his mop of Tom Jones-like curls, black leather jacket, and chest hair peeping from his shirts, what wasn’t to love? Back then, I was in the throws of early teen celebrity crush lust and Hasselhoff answered the call. 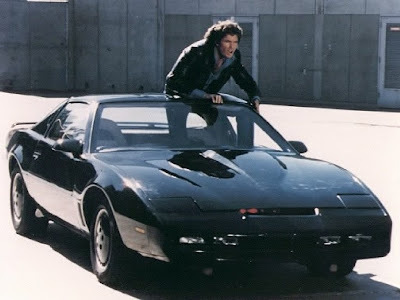 But now, after catching a couple of episodes of the vintage program on a new local channel called the Retro Television Network, I wonder if it was really K.I.T.T., Michael Knight’s infamous super car and crime fighting partner, that I had a thing for. Think about it: KITT was freakin’ awesome. This black beauty could drive himself, crush a bad guy’s arm with his power window, shoot himself up in the air like a rocket, was bulletproof and crushproof and most cool of all, he could TALK. With a BRITISH accent. 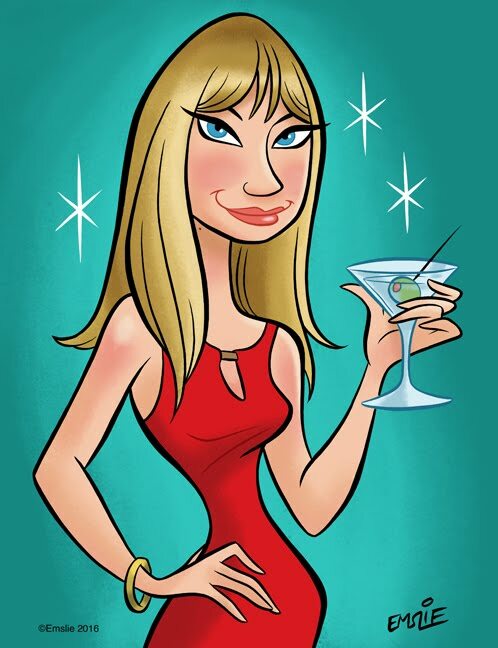 A voice like that could drive me – quite literally – up a wall, and I mean that in a good way. Take KITT to a drive-through car wash? No thanks, I’d rather soap him up while in my bikini and listen to that voice tell me how good it feels. KITT could almost drive me to consider mechaphilia (that’s having a sexual attraction to mechanical objects, including cars. For my friends who read my blog, I hope you know I’m joking. BTW, can any of you tell me how to get the brake release lever all the way up into an erect position?) KITT even had a sense of humor and a personality all his own, which is more than I can say about some men. When KITT escapes a car compactor (using his turbo projectory rocket booster feature, of course) he says he had visions of turning into TV dinner containers and scrap metal. Maybe I’m onto something – I mean, in the most recent episode that I watched, one of Michael Knight’s ladyfriends (I call them that since we rarely saw any kissing between Knight and his revolving girlfriends) was blind. She makes a clay model not of Knight (which would have been very Lionel Richie’s "Hello" video) but of KITT, who is sincerely touched. Personally, I think KITT is the answer to the sinking American car industry. Just manufacture a bunch of KITTs and sell them around $20,000 a pop and I think you’re onto something. Imagine, being able to nap in the back on the way to work while letting KITT do all the driving. You’d also never get crushed in an accident (you would never have another accident, since KITT is too smart for that) and if some assclown is tailgating you, KITT could blow a big cloud of blinding smoke in his face for you. KITT could also sense when traffic is backing up and take you on an alternate route. It just wasn’t the same when NBC tried to resurrect the show last year – and the Pontiac Firebird that KITT was based upon was sanctimoniously replaced with a Ford Mustang. For shame. 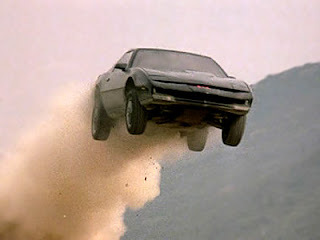 For me, there can only be one Michael Knight and more importantly, only one KITT. The...sexiest...car...ever...in TV history. oh yeah this was one of my favourite shows too! So, you don't drive a standard shift. If you did, you'd know one wouldn't have to pull the emergency brake handle up! Great post! my brother and I loved this show. I always liked that kind of car.